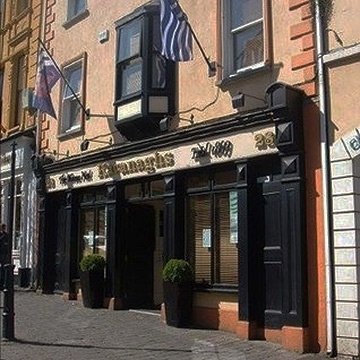 Kavanagh's Bar Venue - Portlaoise is the one of the top venues in Ireland to host a Comedy Club, Music gig, host a birthday party, anniversary, retirement, Confirmation etc. The venue is completely self contained with it's own bar, heated smoking area, toilets and audio visual facilities. The venue is also fully air conditioned. The room is designed in a classic retro fit out, with a striking colour scheme.